South Australia’s tireless volunteers have been celebrated at the annual Volunteers Day concert and award ceremonies at the Adelaide Town Hall. Almost 1,000 South Australian volunteers attended the celebration, which featured performances from the 2017 Cabaret Festival. Joy Noble Medal - Michael Brisco, for his pivotal role in initiating and developing Bikes for Refugees. Since January 2015, he has volunteered fulltime, putting in more than 40 volunteer hours each week. Bikes for Refugees supplies bicycles free of charge to people in need. Its workshop is also open to the public to borrow tools and buy second-hand parts. The Andamooka Community Project Award - Wilmington Progress Society ‘Beautiful Valley Op Shop’ project. The op shop financially supports volunteer groups and organisations requesting funding for projects and events to make their town a better place to live. It supports the unemployed, the disadvantaged and the socially and geographically isolated, as well as maintaining locals' involvement in town improvements. Premier’s Award for Corporate Social Responsibility - Phil Hoffmann Travel for its strong philosophy of ‘giving beyond self’ by supporting and encouraging its team of more than 200 staff to give back to their communities. Phil Hoffmann Travel helps Minda with fundraising, community engagement awareness and social inclusion initiatives. Its staff raise thousands of dollars and volunteer hundreds of hours of their time. 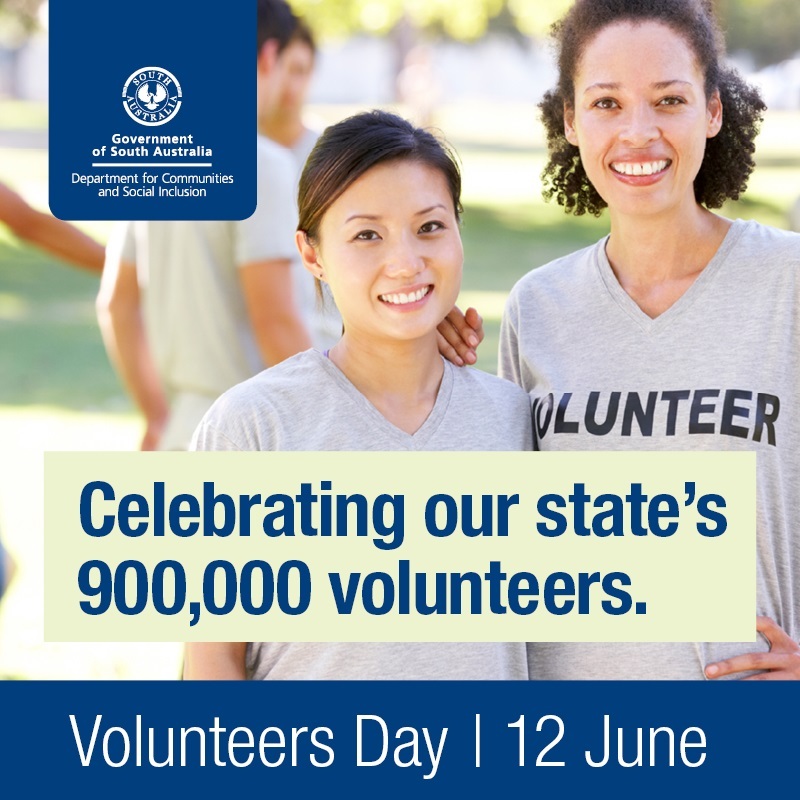 More than 900,000 South Australians volunteer, contributing about 1.7 million volunteer hours each week. This volunteering effort is valued at almost $5 billion each year.